NEW SHAFT SEAL SUNFAB MOTORS | R & S Hydrauliek B.V.
Max. housing pressure bar at rpm. For low temperature applications, below -25 °C please contact Sunfab. 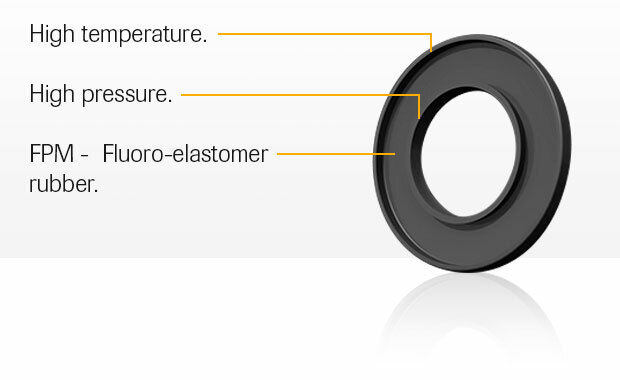 The drainage oil should have a maximum temperature of 115 °C with the P shaft seal. This temperature must not be exceeded. To ensure the function of the shaft seal and lubrication of the motor, we recommend a min. housing pressure of 0,5 bar. If needed, a spring loaded check valve of 0,5 bar can be installed on the housing drail line.